b) All rights reserved. The Client understands and agrees that it is not buying the images, but is paying only for a License to Use the Images - L.U.I. d) Images will be licensed for use for a specified period after full payment of the invoice. When the License to Use has expired, the images should be returned to the Photographer and a written undertaking given that all digital files have been destroyed. The Client is expected to comply with this requirement within 30 days of expiration of the L.U.I. • The rates and prices are indicated in Euros, V.A.T. included. Are not included the transport and the full board accommodation. The transport fee will be indicated in the quotation. Are not included, the postal fees and taxes for the shipping of Prints. • Electronic storage - Save for the purpose of production for the Licensed Use(s), the Photographs may not be stored in any form of electronic medium without the written permission of the Photographer. Manipulation of the image or use of only a portion of the image may only take place with the permission of the Photographer. • The Agency and advertiser may be authorized to publish the photographs to the exclusion of all other persons including the Photographer. However, the Photographer retains the right in all cases to use the Photographs in any manner at any time and in any part of the world for the purposes of advertising or otherwise promoting her work. After the exclusivity period indicated in the License to Use, the Photographer shall be entitled to use the photographs for any purposes. • The License to Use only comes into effect once full payment has been made. No use of the images may be made until full and final payment – Including any late payment charges that may have levied – Has been received by the photographer. a) Internal use only : The right to use the pictures only within a company for non-commercial purposes. Publication in a free in-house magazine not normally available to the public. Exhibition within the Client's premises. Editorial use in the Client's intranet site. b) PR and Press distribution : The right to Use the images as described in (a) plus a License for third parties to reproduce such images in print or electronic media in an editorial context where no fee has been paid to guarantee publication. c) Specified Use Only : The right to Use the images once only for the purpose as described on the invoice. d) Editorial : One reproduction only of images supplied within one print of the specified title in an editorial context only. A booking is confirmed by the Client, by email or postal letter with a payment of 40% of the amount of the quotation. Olivia Bonnal Sansoni will send back an email as confirmation. Once the Client has confirmed the booking for a specific time and date and the date/time has been confirmed, Olivia Bonnal Sansoni will not accept any other work from other clients for those times and dates. I) When a client cancels a confirmed booking within 8 business days of any confirmed date, an administration fee will be charged and a refund of 80% only of his deposit will be made. II) When a Client cancels a confirmed booking within less than 8 business days of any confirmed date, an administration fee will be charges and a refund of 55% only of his deposit will be made. III) In addition to this cancellation fee, the Client will be charged for any expenses already incurred by Olivia Bonnal Sansoni for this specific booking. These expenses will be levied on the deposit. The Client will receive the balance. 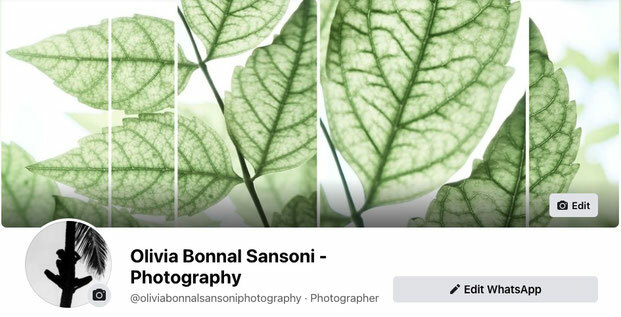 These Terms & Conditions represent the entirety of the agreement between Olivia Bonnal Sansoni, the Photographer and the Client. Any variation is only applicable when agreed in advance and in writing.